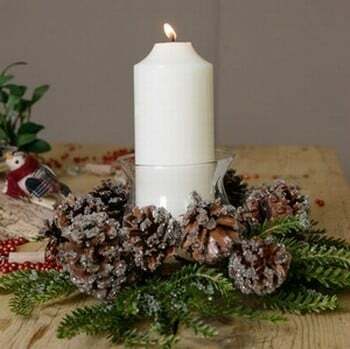 The Iced Pine Cone Candle Holder is perfect for the Christmas table, with realistic frosted cones and twigs, this attractive candle holder brings a delightful festive touch to your Christmas decorations. The Iced Pine Cone Candle holder makes a delightful centrepiece and includes a glass holder perfect for pillar style candles. 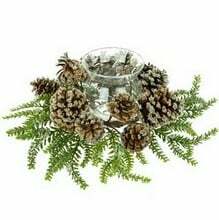 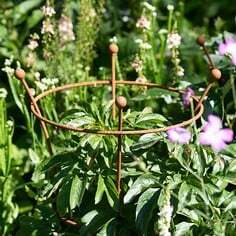 Measuring 30cm in diameter, the frosted effect of the cones and fir twigs will give a wonderful Christmassy feel to your festive displays. 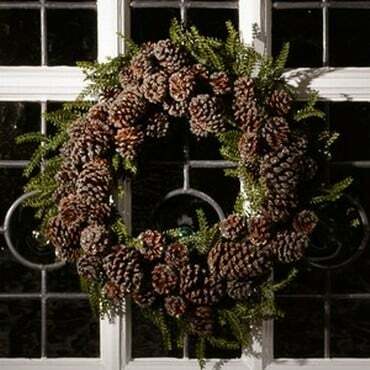 Matching Iced Pine Cone Wreath are also available separately. Bought 3 of these for 3 battery operated flickering candles, they seem good value and are relatively compact and my candles fitted perfectly.